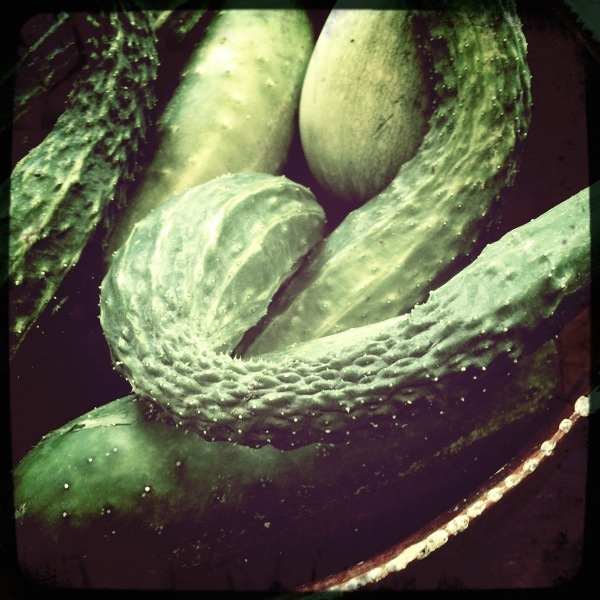 Cucumbers. Wiggly. Warted. In a bowl. Instead of flowers.